Accurate ignition timing is one of the most vital adjustments you can make to your engine. Proper timing can mean the difference between winning and losing a race or even blowing an engine (as a worst case scenario). 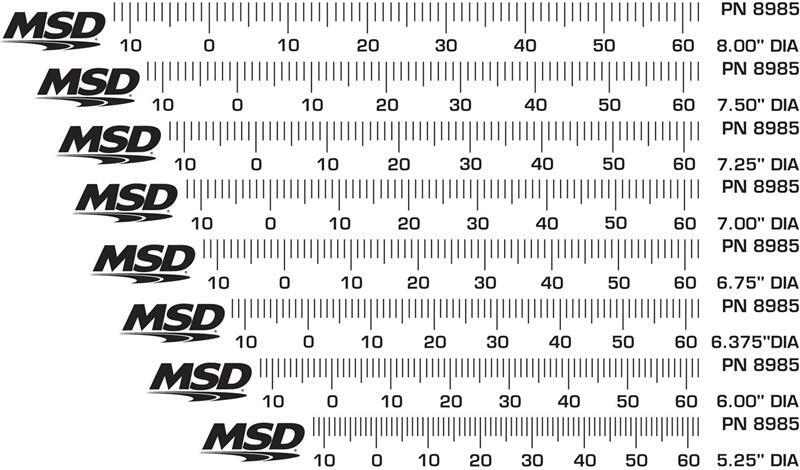 Recognizing the importance of the timing, MSD offers these Timing Tapes. 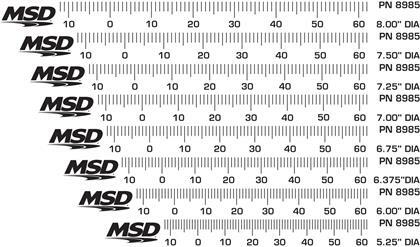 The MSD Timing Tape comes with eight different tapes to fit common balancers ranging from 5.25” to 8” in diameter. The tapes are marked off in one degree increments from 14° ATDC to 64° BTDC and are printed on a tough, chemical resistant material. 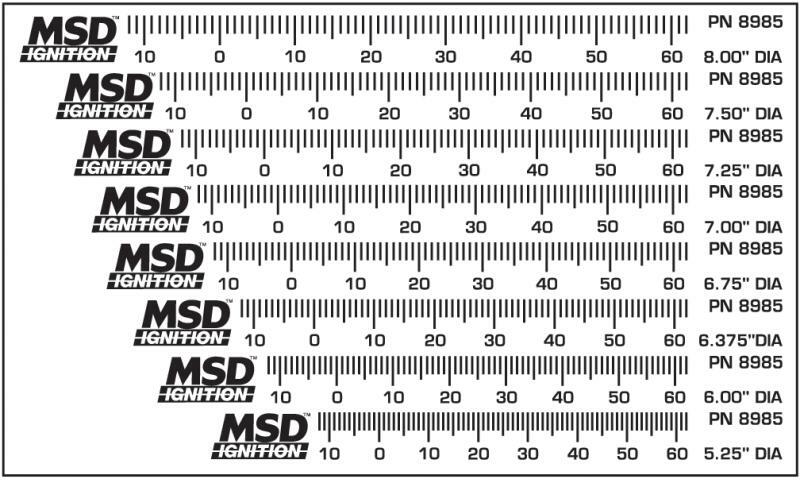 Not only do the MSD Timing Tapes help you get an exact timing setting, they allow you to see exactly where the Total timing is set. Remember, the Total timing is just as critical, if not more, than the initial timing and the MSD Timing Tape will help you ensure that it is set accurately.